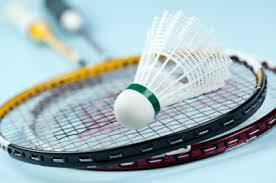 The Junior Badminton Club meets on Tuesday evenings at 6.30pm until 8pm and is not restricted to members of the Parish church. It is designed for children aged 7+ with the aim that older teenagers will be ready to progress into Senior Club. The junior club is a dedicated team who work hard and play even harder! It is run by a mixture of qualified coaches, active players and volunteers all who have a history in Ballinderry Badminton Club and love for the game of badminton (what’s not to love?!). We focus on all aspects of the sport, from footwork to racquet skills to tactics but encompassing that important ethos of teamwork, fun and excitement. We hold festive competitions, skills challenges to work towards and fun events to include family members and friends. We charge a 10 week block session fee to cover equipment costs, fun prizes and to contribute towards the church hall.